So you finally got that job with healthcare benefits and a 401(k) retirement savings plan. The only thing about that 401(k) is that your company does not contribute a single dollar to your retirement. After the economy took a severe turn for the worse in the early 2000s, several corporations put a freeze on their 401(k) match and some have yet to reinstate their contributions. Most companies are waiting for their bottom lines to show signs of improvement before they even consider offering any type of 401(k) match. But why do you have to wait to save for retirement? Why not find an alternative or a backup plan to add to your retirement nest egg? How about making your own contribution to a Roth IRA? The following are six things to know to help you get started. 1. What's a Roth IRA? A Roth IRA is an individual retirement account that offers a tax break later on down the line when you are ready to retire. Unlike a traditional IRA, contributions are not tax deductible. However, you can tap your qualified distributions tax-free and penalty free at any time. Similar to other retirement plan accounts, non-qualified distributions from a Roth IRA may be subject to a penalty upon withdrawal. In terms of eligibility, if you are within Roth IRA income eligibility limits (meaning if you make too much money you are not eligible), you can contribute to a Roth IRA at any age as long as you have earned income from a job. 2. Is a Roth IRA Right For Me? As with all things in the world of personal finance, each person has their own set of unique circumstances. According to Rothira.com, Roth IRAs make the most sense if you expect your tax rate to be higher during retirement than your current rate. That makes a Roth IRA an ideal savings vehicle for young, lower-income workers who won’t miss the upfront tax deduction and who will benefit from decades of tax-free, compounded growth. Roth IRAs also appeal to anyone who wants to minimize their tax bite in retirement as well as older, wealthier taxpayers who want to leave assets to their heirs tax-free. 3. Where to get a Roth IRA account? The best place to start your search for a Roth IRA account is where you conduct your personal banking. Most commercial banks, credit unions, and brokerage firms offer Roth IRA accounts. However, some personal finance experts believe it is best to have your Roth IRA account at a different bank from where you house your checking and savings accounts. Why? Because it’s less tempting to tap into your retirement for frivolous spending. You’ll be surprised to know that life insurance companies also offers Roth IRAs, as well as mutual fund and stock brokerage firms. You want to know if there will be a monthly or annual charge for administrative fees and how much the bank will charge you. 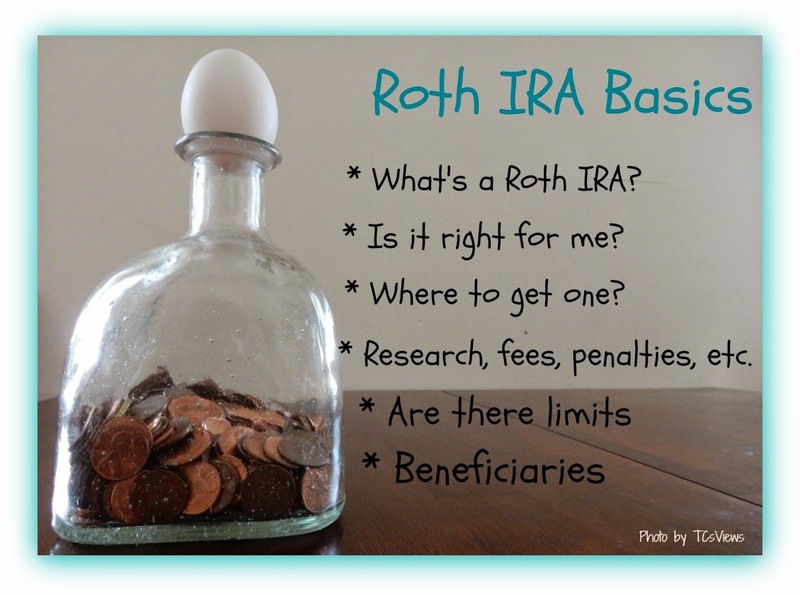 Find out what the minimum amount is to open a Roth IRA account. Be sure to ask how accessible your money will be if you need to make withdrawals and if there are any penalties if you take out money from your account. The Internal Revenue Service states that your total contribution to your Roth IRA for 2015 cannot be more than $5,000. If you’re 50 or older, your contribution limit is $6,500. When you start the process to open a Roth IRA, your banker may ask you if you have a beneficiary. If you do, make sure you have the names, birth dates and the social security numbers available on hand of who you plan on leaving your Roth IRA to in the event of your death. These six tips should get you well on your way to opening up your Roth IRA. 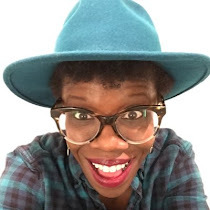 A version of this article appeared on FinancialPlan.about.com and was written by Tamika Cody... yep that's me. Do you have a Roth IRA? What's your experience with opening retirement account? Share your comments below or e-mail them to TCsViews@gmail.com.